This is Lord Sananda speaking, once again, for the Christ Consciousness of the Cosmic Oneness. It is my pleasure and divine acceptance to be present in this moment. Allow us to just take a breath, and within that breath, feel the frequency that is fully coming into your being because there has been great changes happening upon this earth for many that have been doing the ceremonies and connecting to all frequencies of light, we thank you deeply. We thank you deeply of what you have created and allowing the expression that you are to be fully within you. I am here as a Spokes-being for the energies, but each of you is embodying these frequencies on your own. It is your choice: what is it that you are experiencing in these moments? What is it that is the expression within your existence? This is not just for what occurred on 11.11.11, because that was just the start. Now you are fully in the Essence, you are fully in the completeness that you are and allow yourself to fully bring in the elements of change that are absolutely necessary. So in these elements of change, you are going to be seeing a great shift in your own ability to understand the elements that have been occurring. Within these elements, there is a shift in your consciousness, there is a shift in the way you are interacting with others, there is a shift in all elements. 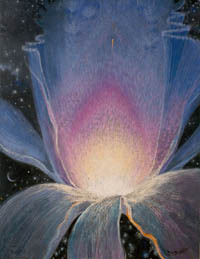 As we know this frequency that was brought in, which have to do with the Feminine Divine, which is what all of you have been working with, but now it is being more fully grounded through the essences of Mount Shasta, through Sedona, through Arkansas, through Lake Titicaca in Peru, and to align with Machu Picchu to allow these elements of the frequencies of the Lemurian energies of the Female Essence to blend with the Male energies of the Atlantatean to come into completeness. What does this mean for each of you personally, on a personal basis? There are great elements that are occurring within the frequency that you are. It is important for you to realize, what you do not take care of, the energies will shift greatly within you. Some of you may be feeling physical symptoms, some of you may be feeling energizing symptoms, some of you may be feeling frequencies of many different levels, so in these elements that are occurring, please take care and embrace whatever it is that is occurring for you, in these movements of embracement, you will see, the activations go more smoothly and swifter for you in ease and grace. So tonight we want to assist you with that, we want to assist you with of any pockets of frequencies that are not fully getting to the Inner Core of your Being, or not fully getting to your Lotus Heart, and not bringing the balance of the Male and the Female in those elements within you. So I say to you, sit back and allow yourself to receive. In the frequency of what has occurred for the Dearest One here, I believe her energetics are going to be quite different because of what she has experienced through this process and I want to acknowledge her because its going to make her work even more powerful. I say to you, you will fluidness of energies; you will feel the frequencies because she has fully allowed herself to bring in the Feminine Divine in a different way than she ever thought possible. I want to acknowledge her for that, she fully erased a lot of elements within her karmic issues that she was holding on, and had held onto for many years, and now that shift is changing. So I believe you are going to be feeling an expression of the Divine Mother more fully than you ever have before. The Divine Father will still be incorporated but it will be a different effect because now she has stepped aside and allowed this frequency to come fully within her Being. It definitely is easier for me this evening through the deepness and the essence of her frequencies are allowing the fine tuning that is necessary from the highest frequencies to come fully within her body, and allow myself to use her voice in the expression that I AM. I say to you in these moments, allow this to be your experience also. Allow each of you to incorporate the embodiment that has occurred onto this planet into your beings onto the Earth to assist as much as possible. So let us all take a deep breath. Within that deep breath, we want to give you the expression of the Devotional Ray of Ruby Red and feel that Devotion flowing through into your body, feeling the Essence of your Soul’s presence and your Higher Self being the Full Director in the full completeness within you. As you allow that expression within you, we then move to the Pink-Orange, which is the Fourth Dimensional Ray into the Solar Plexus, which is aligned with the Ruby Red. Then we move into the Magenta, and the Magenta will blend with the Solar Plexus and to the Heart, and to the Thymus, so that becomes one unified Chakra. We are probably going to be centering more upon the Higher Chakras in these calls than we have previously. Now it is time, it is time to more fully embrace and incorporate these frequencies within your being. Take a deep breath. As you breathe deeply through that essence, feel the third, and the fourth, and the fifth bodies being activated within your physical existence. Allow yourself to be expressed within this manner because it is your divine purpose to do so. With that, I am now going to step aside and allow the Divine Mother and Divine Father God of the Cosmic Great Central Sun is fully going to bring in the frequency. I am honored to walk with you in this time, and to bring in this acceptance within your Being. We are the Divine Mother and Divine Father God of the Cosmic Great Central Sun in the expression of the One Within. Feel the Oneness within yourself, feel the frequency that you are as you tap into your I AM presence more fully than you have before. Feel this essence that is part of your frequency, feel this essence that is part of us. Feel this frequency that is part of all endeavours of your Soul’s Purpose. Breathing deeply. Breathing deeply in the essence that you are and the completion in All That You Are, and All That You Will Be and all the frequencies of light. Breathe…Breathe… As we send to you waves of the Ruby Red, the Pink Orange, and the Magenta for you to fully incorporate this light and this frequency within. We express to you in this moment of the frequency that has occurred upon the plane of the earth of the 11:11:11 is beyond your comprehension. Yes, Yes changes have been made, changes are being created and words can fill you up and help you understand the process that you have been going through, but you cannot fully understand unless you tap into this Frequency Of Light, you must tap into the essence that is coming through the beauty of this voice in this moment. Allow yourself to feel the waves of the light, allow yourself to feel the vibrations of the complete oneness that she is incorporating from us to you. Breathe it in….Breathe in…Breathe it in… Breathe it into the essence that you are. Allow yourself to just expand upon this moment of creation that has occurred for you that each of you have now walked up the mountain and you feel the essence of what has occurred. As this essence has occurred you start to see changes, many changes that need to be made. I ask of you right now…Don’t think! I ask of you right now…Not to feel the lower body! I ask of you to just receive, embrace this frequency that is the essence that has been asking to be born. Allow that to be within you in this moment, between the Heart, the Solar Plexus, and the Thymus ~ your Power, your centeredness of Compassion, and your frequency of your Light. It is a vibration that is beyond the capacity of the thought realms. It is a vibration to come fully into the Essence That You Are, allow that to be the beginning. This is the beginning, this is the process, these are the elements. As we stand in front of each of you, feel us embracing you, and allow that frequency to be these colors, allow the Ruby Red and the Pink Orange, and the Magenta blend in front of you. As we embrace you, we put our arms around you and we encircle you with this beautiful essence of light, pouring through your Being. Allow yourself to feel the deepness of your vibration of the frequency as it was in the beginning that has never been manifested upon this earth plane before. You are an embryo, allow that embryo to be within you, feel the Solar Plexus, the Heart, and the Thymus. Feel your Power, feel the Essence That You Are, feel your essence expanding in your Heart, and feel the Passion, and the Joy, the Purity, and the Grace and all that is yours to be fully in complete within your being. Allow yourself to expand beyond that, allow your essence to be in the frequency that you are. This is what we embrace onto you in this moment, this is what we bring forth onto you and we send it to you as we stand in front of you in complete union. What is the union that is occurring within you? Do you feel the union deeply within your essence? Do you feel your Male and your Female coming into the Divine? Step into the Divine, even if it is just for a split second if you are having a hard time with this. We ask that the Male and the Female now come and they embrace each other in your Heart Center and feel that beauty that is flowing through you with these colors of the Ruby Red, the Pink Orange, and the Magenta, as they all blend in a big rainbow of light of a circle light and that if flowing through your Being in the Essence That You Are. Feel that completeness, this is the frequency that you fully want to bring within you; now let it flow down your legs into your Earth Star, let it flow to your Soul Star, let it blend in front of you, and in the back of you, and around your sides and it goes into the Earth Star and it spins outwards, outwards into all your fields. We ask that all the dislocated bodies now come into blending of the Physical, the Etheric, the Emotional, the Mental, and the Spiritual now, glows in the Essence That You Are. Feel that essence coming around you and feeling the completeness as its down at your Earth Star and at the top of your Soul Star, you are a complete blending of all three bodies, all three rays, all the essence of fully embracing your fifth dimensional frequency. Allow your Light Body to be fully activated, allow the essence, and now let’s take a deep breath. In that deep breath, what is it that you feel, because now you are coming from your Higher Heart, and your Higher Mind, and feel the frequency running through, through your bloodstream, through your muscles, through the expression in every physical parts. Feel it running in all essences that you are. As the Oneness is within your Physical, your Etheric, your Emotional, your Mental and your Spiritual as one huge blob of light. Breathe and feel this essence. Breathe and feel this completeness. Breathe deeply, deeply, deeply. Now feel the expression within your Solar Plexus. We want you to feel your power more fully than you have ever felt it before. We are asking for all dislocated elements that have not allowed you to create your gifts from all of those lifetimes that could have been outside of your field, because you weren’t powerful enough, you weren’t successful enough, because you weren’t empowered enough. We now ask for the empowerment to fully be within you as each of these frequencies are now going to come within you, because now you are a full body system, your not dislocated from each other. Allow yourself to feel that in your Solar Plexus, and your Heart, and your Thymus, and allow it to go to your Throat and all through all of your Chakras are now blended as you receive the 22 chakras incorporated with the 22 rays of God. I AM the Cosmic Great Central Sun of the Divine Mother and Divine Father God at your service. Love and blessings, embracing you in the frequency that you are. So Mote It Be In The Light Of The Christ, As We Are One Together. This is Lord Sananda back again, as the Spokes-Being. Just settle into these frequencies, and allow yourself to feel the expression. We all know that you have been going through changes, and the wonderful experiences of11:11:11, this is just the beginning my friends. This is just the beginning of walking onto your pathways, walking into your existence, removing the fears, removing the worries, removing all those discordant elements that have stopped you for eons of time, it is now time for the complete integration of the Feminine and the Masculine Divinity Within. It is my blessing to be here with you in this moment to share these words, to share these frequencies.